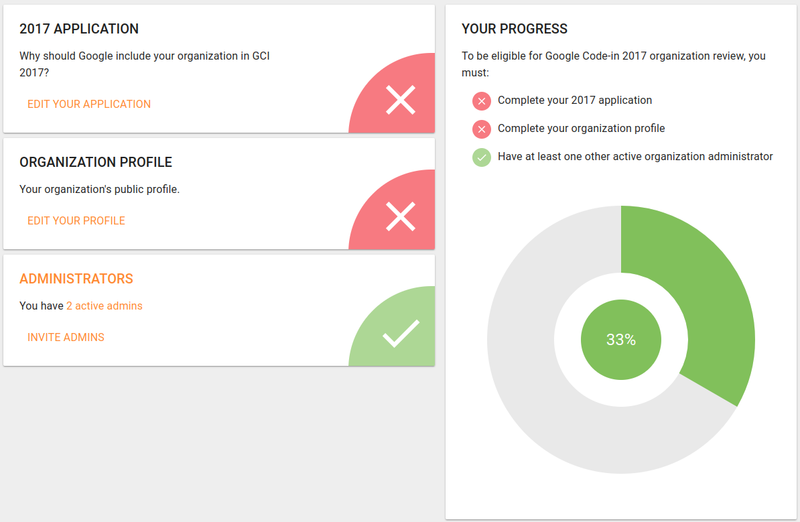 Applications for Google Code-In 2017 are now open! We - Ubuntu - are going to apply to take part! I previously asked if we would participate in Google Code-In. We received some positive feedback and volunteers to mentor, so lets kick off our application here! 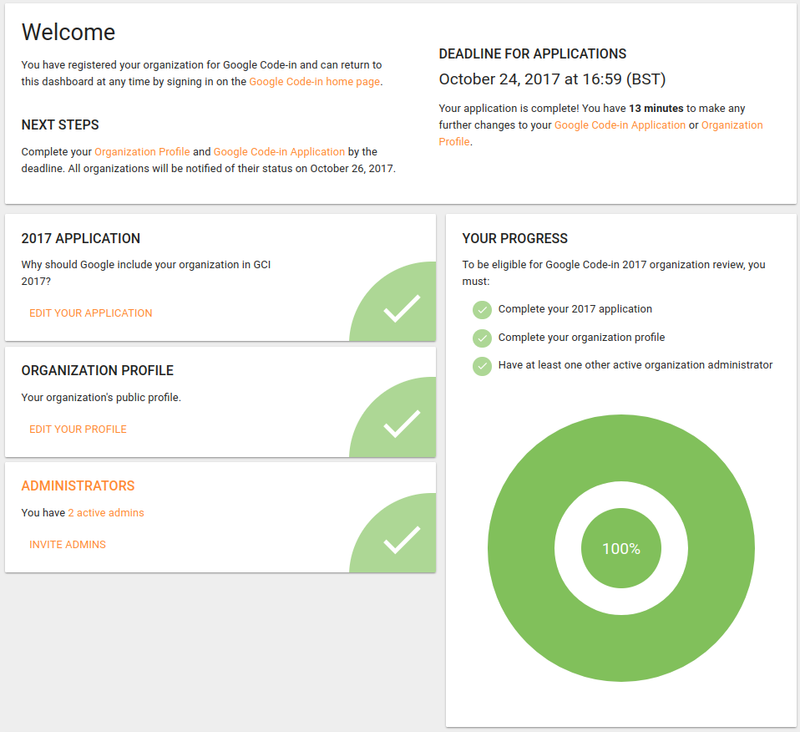 I have registered Ubuntu as an organisation with GCI. We have until Tuesday October 24th at 16:00 UTC to prepare our application. That involves updating the application metadata (I will do this) and creating a set of tasks for the students to do. I need help from mentors for this bit! Before 24th October we need to come up with at least 25 diverse sample tasks. If we get accepted, we then have until November 28th to come up with *lots more tasks for the students. We don’t want the well to run dry for prospective students, so will need as many high quality tasks as possible. Everyone, please share this topic with others in the Ubuntu project who can commit to mentoring. We’d like a diverse set of mentors covering all parts of the Ubuntu Community. Create a reply under this hub topic and paste your tasks in there. We also have the #ubuntu-google IRC channel on freenode for co-ordination. Feel free to lurk there too. At the end of this process I’d expect there to be a bunch of replies underneath this topic, containing a variety of tasks covering the different categories. We need a minimum of 25 tasks to fill the application, we should aim for double that, to get great coverage across the categories and levels. Package and publish your first go/goreleaser/python/nodejs/rust/ruby/make/cmake/qmake snap. Record a video about packaging a snap for beginners. Translate the subtitles for the snapcraft.io videos. Define and document the manual tests for the parity/parity-bitcoin/bitcoin/electrum/blockstack/solc/ipfs-cluster snaps. Automate the smoke tests for the parity/parity-bitcoin/bitcoin/electrum/blockstack/solc/ipfs-cluster snaps. Run the SRU tests for the snapcraft deb package. Run the snapcraft manual tests. Write a missing unit test for snapcraft. Write a missing integration test for snapcraft. Fix a bitesize bug for snapcraft. Fix all the snapcraft spelling errors and automate a test with codespell to prevent them in the future. Write a script to gather snapcraft stats from github projects. Write the code for integration between circle-ci and snapcraft. Write the code for integration between gitlab-ci and snapcraft. Make the snapcraft bot pep8 compliant and automate the check. Our deadline for submitting the Google Code-In is tomorrow. In order for that to be successful, we need at least 25 sample tasks. Do you have some sample tasks we can submit? If not, I don’t think we can proceed with our submission, which would be sad. If you can come up with 25 between you, we can submit our application. I was planning feeding them in tomorrow morning (still handling and looking at 17.10 feedbacks for what we need to fix). I will have a good 15-20 of them. Is that OK? Here is the list from the ubuntu desktop team! Ubiquity, Firefox, Thunderbird, Nautilus, Rhythmbox, Libreoffice Writer, Ubuntu Software, Yelp, Amazon. Skill: system configuration, building package. When a terminal isn’t focused and a long running command is terminated, Fedora has some patches to show up a notification. Backport this patch to ubuntu as well. Check https://github.com/debarshiray/gnome-terminal and Adding terminal notifications for completed commands to the default desktop? This item is taking some space in the super overview, modify the desktop file to move it inside the Utilities section. Change first boot animation to match something like Dell XPS did. /!\ this is quite an involved and complex task. Change the first boot animation to be a little bit more dynamic and welcome the user to their new ubuntu installation. Some infos on what Dell did is at https://ubuntuforums.org/showthread.php?t=2279649, https://www.reddit.com/r/Ubuntu/comments/38oror/first_boot_screen_on_the_new_dell_xps_13_wow/. The current page is quite sparse: https://wiki.gnome.org/UbuntuMigrationToGNOME. The content can be enhanced to ease people transitioning from 16.04 to 18.04 LTS. Skills: blender, video generation pipeline. Change in GNOME upstream production pipeline to produce VP9 videos instead of VP8 while generating them from blender (basically wining 50% of the initial size). Proceeding Fuzz testing of GNOME Shell, trying to stress it under Wayland. /!\ This tasks can be handled by multiple students. Skills: QA, reporting issues with stacktraces on GNOMZ bugzilla. In Ubuntu (and GNOME) Software, metadata are taken from debian packages. There is a lack of screenshots and clear description in appstream for them. Find applications missing metadata and add them. Ok, we’ve applied! We’ll see how this goes, and find out on Thursday if we’re accepted! Thanks everyone. I am interested in mentoring for GCI 2017 under Ubuntu. Here are the few tasks. Install Ubuntu (Latest Version - 16.04 LTS or 17.10) on your system. Create your first snap using Snapcraft and upload it to store. Create your first snap using this tutorial https://tutorials.ubuntu.com/tutorial/create-your-first-snap , upload it to store and then write a blog post on how you have created it with screenshots. Write a blog post on your experience in GCI 2017 with Ubuntu. 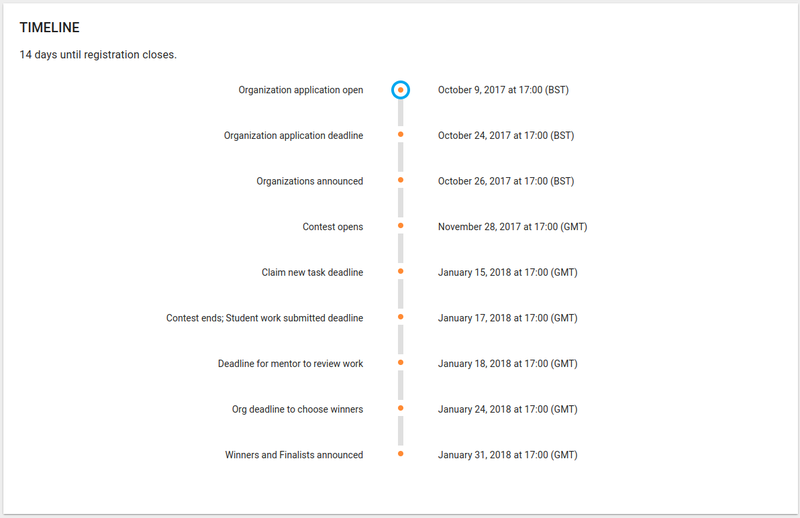 You can also include the tasks that you have completed during GCI 2017. NOTE: This task should be uploaded late when last two weeks are left in the completion of program so that students can focus on completing other tasks. I will keep on adding more tasks. This is great!! How could I, and my 13 & 15 year old, keep tabs on this? 100%, they’d like to participate as well as capitalize on what Ubuntu(Canonical) have done here. Alan, as usual, thanks so much for aligning this… additional thanks to those that have contributed! The Ubuntu Podcast led me to this… Again, best in class (Thanks guys… @popey @Wimpress @marxjohnson)! This weeks Podcast answered all of my questions.